Mark Melendez is a busy man, but especially come October. According to the National Cancer Institute, Connecticut has among the highest incidence of breast cancer in the country. And it is here that he practices plastic and reconstructive surgery and is on the board of Susan G. Komen Southern New England, the local arm of an international breast cancer charity. 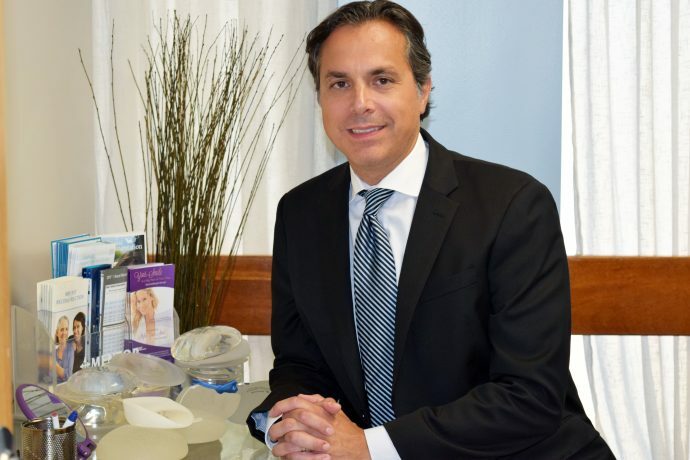 With offices in Shelton and Fairfield — the latter of which celebrated its one-year anniversary in September — Melendez performs a spectrum of procedures for the face, hand, body and breast, including the DIEP Flap procedure, which uses a patient’s own tissue, as well as facial rejuvenation like fillers. For the past three years, since finishing his fellowship at Johns Hopkins Hospital in Baltimore, Melendez has been particularly interested in — and inspired by — helping men and women with breast cancer. Philanthropically, much of his efforts are focused on improving patient access to quality breast care.